Over the last decades, thedefencelogistics in the military continues to adopt technological advancementsto streamline its operations.This isto ensure that mission-critical data is delivered to the authorised personnel. That is whythe militarylogistics management utilises a network-centric computing platform for a more efficient information flow. However, the military can make the logistics operation betterbyusing an industrial-grade workstation for panel PCs. It is designed with a plug and play feature to create a centralised computing system. This type of workstation canalsobe built with compatible industrial PCs andruggedisedperipherals.So, it offers an organised and ergonomic workstation that can be set up in many military operations. 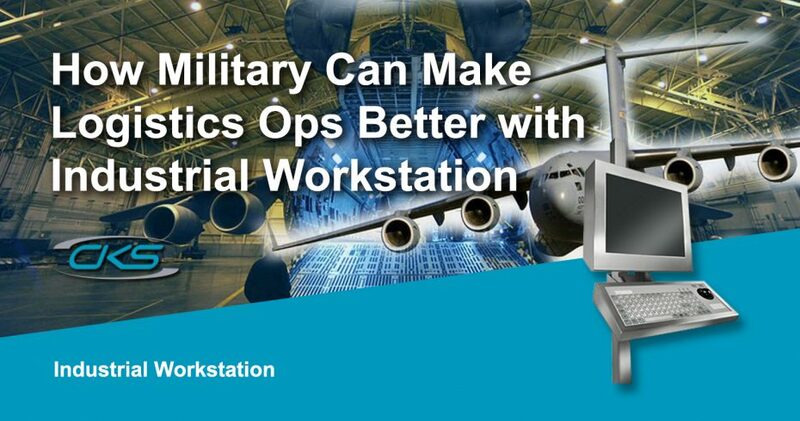 Now, how can industrial workstations further streamline military logistics? Keep reading on this blog to see the features that made it an exemplary computing solution for the military. Have you seen how military base camps in Afghanistan are setup? Generally, it has a fast-paced environment whereinmilitary forces are working to analyseupcoming fieldmissions. Apart from that, the working environmentalsobears different types of potential risks that may damage a computing system. And, this includes dust, heat, humidity, shock and vibration. So, how can these computing devices be prevented from those potential risks? How can the military continue to utilise programs using these panel PCs? This is the reason why installingindustrial workstationsis essential in the military. Embedded PCs can be easily set up to different military work environments. Plus, system accessories such as USB/LAN/Ethernet ports can be seamlessly integrated into the computing system.Its compact footprint provides more workspace for other necessary equipment. Since it offers an integrated computing system, operatives can access full computing functions. The industrial workstation can be easily customisedbased on specific computing requirements in military logistics.Its custom-fit solution allows PC peripherals to be conveniently modified and installed. As a result, military personnel can take advantage of excellent computing solutions in many aspects of operations. This rugged workstation has a protection rating of IP65andNEMA4sealing enclosure. So, it canwithstandin environments with extreme humidity, temperature, shock and vibration. Hence, military personnel can continue to experience seamless computing operations. Thisruggedisedworkstation also features a 75mm VESA mounting brackets. Standard PC enclosures and peripherals can be set up easily and at the same time, it also saves working space. So, expect that any military logistics operations can be performed using these industrial PC workstations. Keep in mind that the military relies heavily on their logistics teams. Without a system in place, it would be a difficult feat to accomplish a military mission. That is why installing the most reliable computing technology and a suitable workstation is absolutely a military must-have.So, having an industrial PC workstation is definitely an ergonomic and efficient way fortheoperators to easily accessvaluable data andinformation. Contact anIC providertodayandstart customising an industrial workstation for military applications.